Client: I’m interested in your digital marketing services, what would you recommend? MWI: We can recommend a lot of services including content marketing, social media marketing, digital PR, but in your case we see the low hanging fruit with the best ROI being SEO. Client: I’ve tried SEO before, it didn’t work. MWI: Can you tell me more about your experience? Client: Yeah, we hired a firm to do SEO, we paid them $500 per month, and after two months we weren’t #1 for a single keyword, so we fired them. What Does it Mean to “Try” SEO? Ingredients. If you make a pizza with nothing but dough you have bread, not pizza. Bread is good when you want bread, but SEO is a combination of ingredients or services (see What Does An SEO Firm Do?). Did you use all the core ingredients, or just one or two, while expecting to get the results you would only get from using all of them? There’s also the question of whether you’re using the ingredients the right way (see The Long Tail And Why Your SEO Keyword Strategy Is Wrong). The dough goes on the bottom, cheese on top, with sauce in between. Cook it upside down, or use ingredients in the wrong quantities, and you get a different result, even with the right ingredients. Time. If you tried SEO for two or three months then you didn’t really try SEO. If you tried it for four to six months then you may or may not have given it a real try. If you tried it for 12 months and didn’t get results then you gave it enough time, and if it didn’t work then the problem lies elsewhere. For more on this, see How Long Does SEO Take To Start Working? It’s been said that bananas are nature’s most nearly perfect food, but I think it’s pizza. Just think what you’d be missing out on if the pizza above were the only pizza you ever tried. 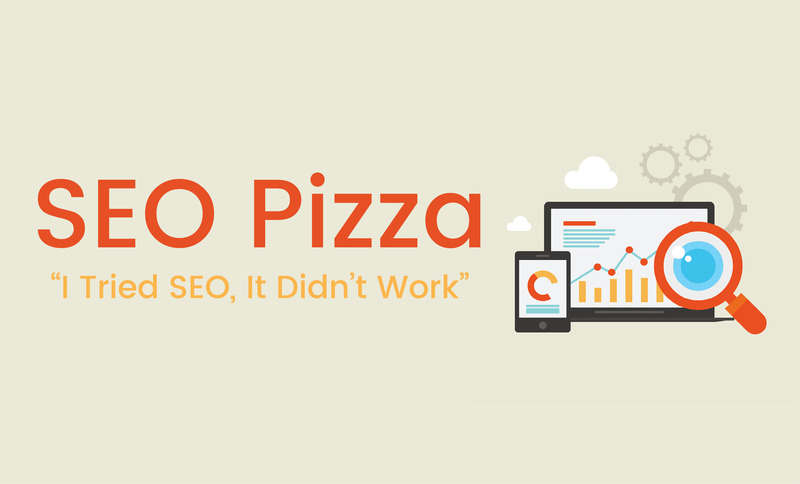 The next time you try SEO, think about the SEO pizza and give it a real try.